The Requiem Mass occupies a special place in Saint-Saens's religious choral works. Its dedicatee was a friend named Albert Libon, who had made a bequest to the composer of 100.000 Francs on condition that Saint-Saens should write a Requiem to be performed after Libon's death. This occured in 1877 and early the following spring. Saint-Saens travelled to Switzerland where he composed the Mass in its entirety within the space of eight days. 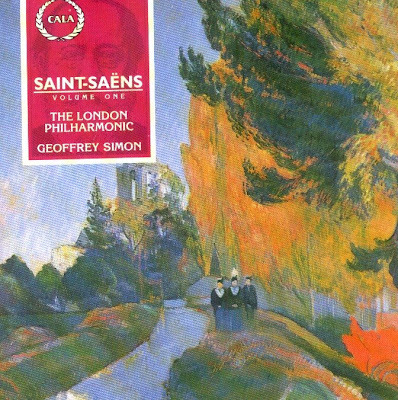 Unlike Berlioz and Verdi, whose respective Requiems were conceived in grandiose and quasi-operatic styles, Saint-Saens's compositions never loses sight of the church. As in the Requiem of Fauré, a lifelong friend of the older composer, the vocal writing throughout is both devotional and entreating, with soloists and chorus echoing each other in urgent supplication. The scoring is discreet and lucid, the harps in particular making notable contributions to the accompaniment with filigrees of sound. The organ too has an important part, and is often used with striking effect, as in the Tuba Mirum section of the Dies Irae, where it is joined by four unison trombones. The sorrow in the music, particularly in the opening pages of the Requiem, and again in the Agnus Dei, takes on an added poignancy when we learn that not long after Saint-Saens returned from Switzerland, his young son fell to his death from the fourth floor of the family's Paris home. This tragedy was compounded even more horribly when his other child died of an illness only a few weeks later. One can almost hear in Saint-Saens's deeply-felt music a premonition of the pain that was to come. The CD 'Saint-Saens Volume I' was released by Cala Records, 1993 (DDD). CACD 1015.